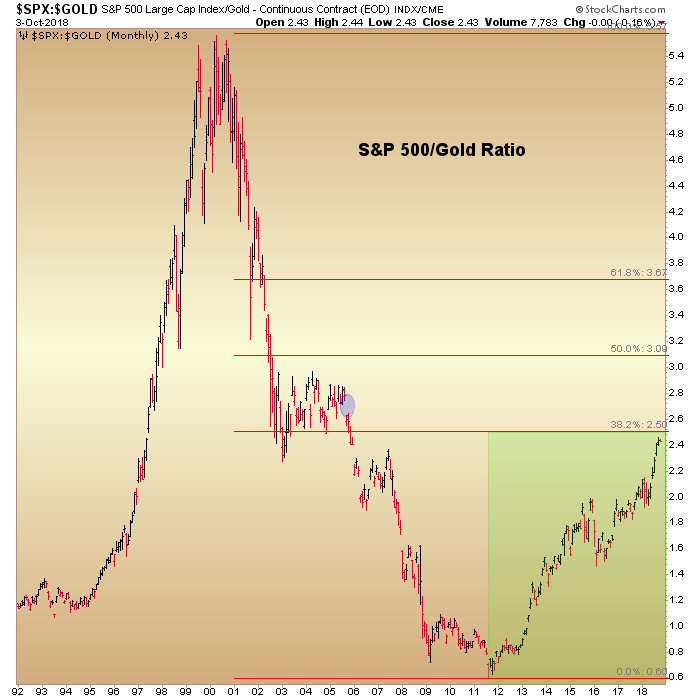 Finally, the ultimate arbiter of macro risk (on or off) is Amigo #1, the SPX/Gold Ratio. Gold topped out in 2011 and with it the risk ‘off’ trades were banished as the S&P 500 has been in a process of repairing the financial terror from 10 years ago (happy anniversary to all of us who were there in real time, as NFTRH launched on September 28th, 2008). 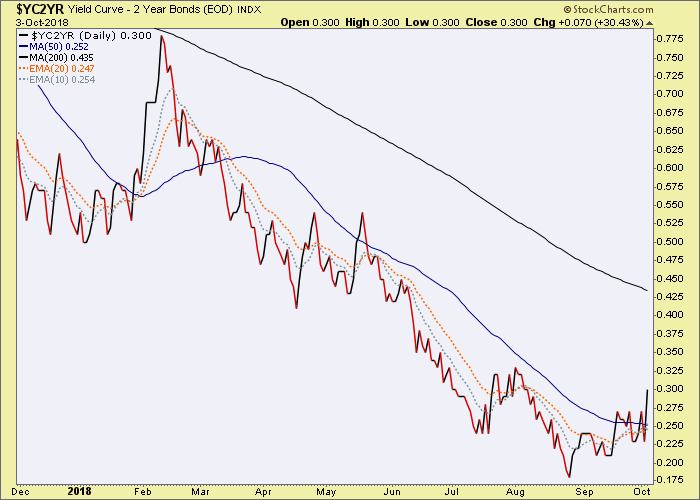 Amigo #2 (Long-term Treasury Yields) was the first to get to its destination, which was the 30yr yield’s monthly EMA 100. 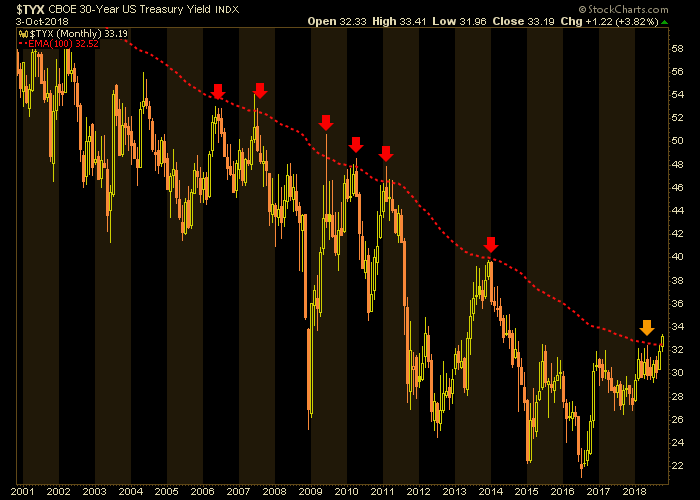 Now it is the first to make a macro signal. Being in-month, we’d need it to close October in this condition to minimize the potential that it is a whipsaw or false macro signal (ref. 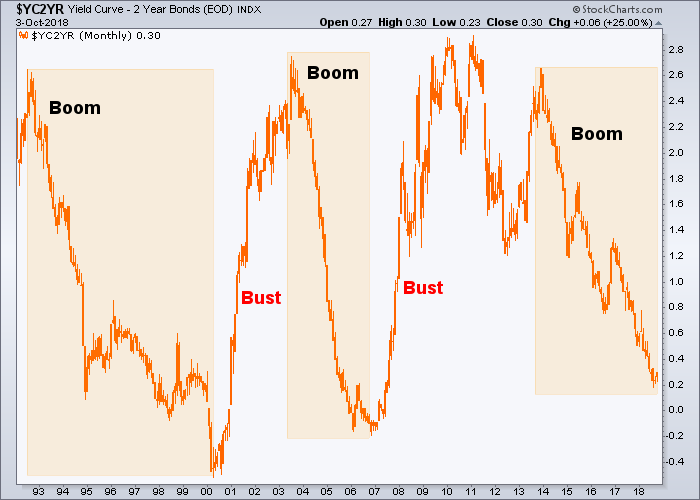 the inflation hysteria of Q1, 2011). These monthly charts move with sloth-like drudgery, so patience and ongoing perspective are always needed. We’ll use shorter-term tools to refine the… short-term! 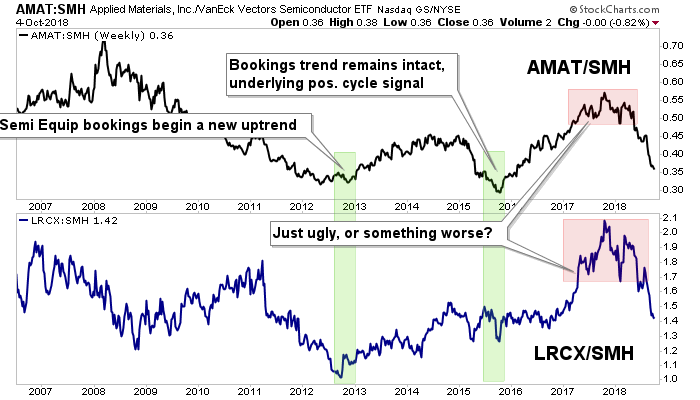 * That would be the same Semi Equipment sector currently giving a macro warning 5+ years later.